United Fuel Tax Services, Inc. Overwhelmed by Paperwork? United Fuel Tax Services Eliminates the Hassle!! Call today and let us keep you legal for less than $1.00 a day. Questions about Unified Carrier Registration? Give us a call. 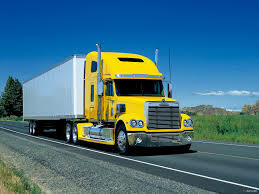 United Fuel Tax Services, Inc. is a company that provides a high quality consultative permitting, licensing and tax reporting service to the Truck Transportation Industry. Our service provides the maximum benefit to our customers at a very reasonable rate while tailoring the service to our customer's specific needs. Thank you for visiting United Fuel Tax Services, Inc. Your comments and suggestions are important to us. Stop the run-around today ! ! Start saving you and your business time, energy, and money with our proven permit & tax filing system that takes the burden off you for less than $1 a day! Our United Fuel Tax team will stop your paperwork headaches, manage and reduce fuel taxes due, and prevent delays and penalties! We'll even give you the support you need, if you are ever audited!